Easily navigate the STREAM94I thanks to its clear colour display and adjustable backlight. Use the simple dials to adjust the volume and tune the waveband to discover new radio stations. With buttons to skip, rewind and pause your music, you can listen to exactly what you want, when you want. And, with the ability to add a rechargeable battery pack, you can even use this radio as a portable model. Enjoy 120 station presets on this DAB/DAB+/FM RDS radio. 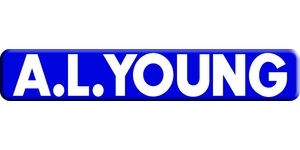 And, listen to podcasts from a wide range of broadcasters with high-quality audio. The exceptional three-way speaker system with a subwoofer delivers a rich and smooth sound which fills the whole room. It won’t use any unnecessary energy either thanks to a power-saving standby mode. The Roberts STREAM94I is much more than just a radio, with a whole host of connectivity options for you to stream top tracks. Link your smartphone to this impressive Smart model via Bluetooth to stream your stored songs with a reliable connection. Wi-Fi and Ethernet connectivity allow you to connect your computer and stream the latest chart-toppers. You can also use Spotify Connect to stream your playlists from your phone, tablet or PC. With the ability to access the Google Store, you can download the UNDOK app to control your radio remotely. Manage your home’s audio system right from your phone for the ultimate convenience. It doesn’t end there either – the STREAM94I has a selection of ports for you to connect devices. Playback music with a choice of DNLA and USB ports, as well as line output and auxiliary sockets. Enjoy your music to yourself with a handy headphone jack for music on-the-go. With a huge range of compatible formats, listen to music without any trouble. 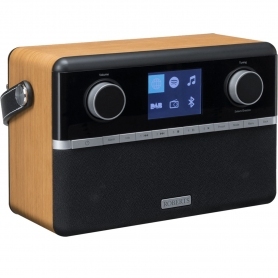 This multi-functional Roberts radio has two alarm timers, meaning you can even wake up to your favourite tunes. Or, simply select a buzzer setting for a more classic alarm sound. 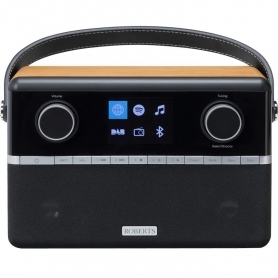 Roberts’ STREAM94I is a multi-functional radio from a top-rated brand. Why not add one to your basket today?